I have been eating soups for lunch for many months now and I am tiring of the same old, same old. So, inspired by my friend L-Mac, I created a lovely little soup that you might like to try. It is LOW fat, LOW GI and vegetarian. Add lentils and stock and simmer until all components are cooked. Add water as necessary, during cooking. 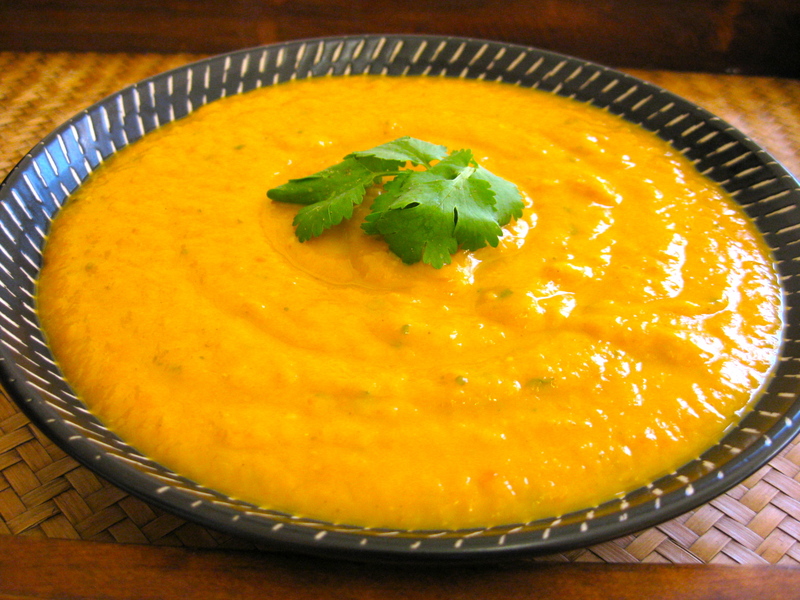 Puree with stick blender or blender. Add skinny tinny milk and season to taste. Lots of pepper in this one! The beauty of this soup is that it goes well with corriander, or even a dash of sweet chilli, or fresh chilli for an asian lilt. Or it also goes nice with some freshly chopped chives (or dried, packet ones, like I was forced to use) and some sour cream. 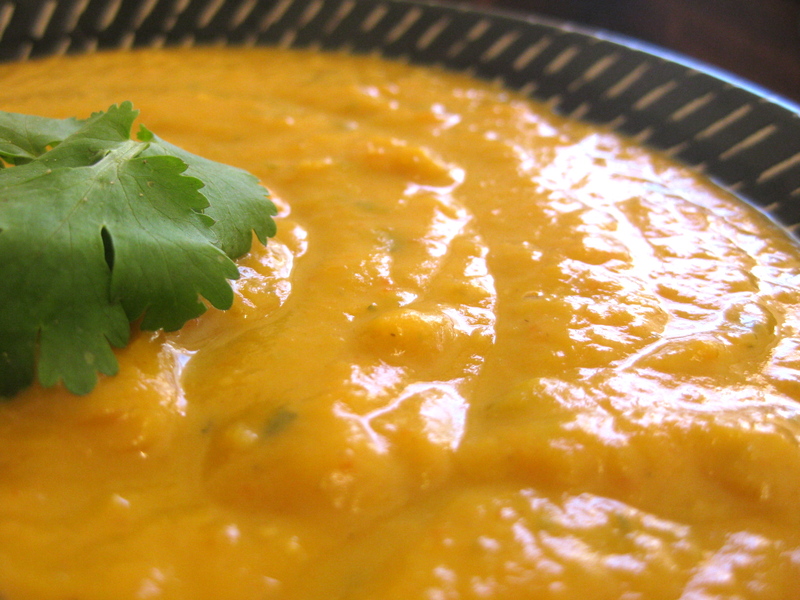 It goes pretty much like a pumpkin soup but is packed with more vegetables and lentils and sweet potato which makes it more nutritious and will keep you fuller for longer. When you re-heat, add some water as it can get a little thick sitting in the fridge. You can play around with spices and maybe add some cumin, or paprika or cayenne pepper when simmering.